Some of the highest numbers of calls made to 999 are around midnight on Friday and Saturday nights, with around 5,000 calls an hour being received by BT. The early hours of New Year’s Day are traditionally the busiest time of the year when up to 9,000 callscan be received each hour. 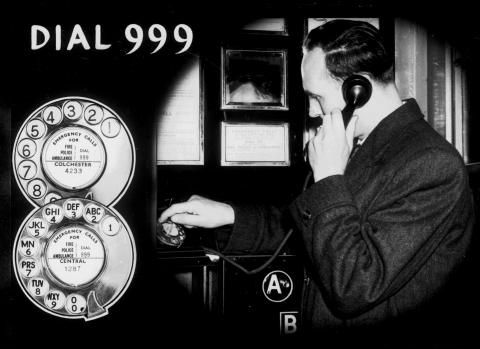 The latest development in the 999 service isAdvanced Mobile Location (AML), a new mobile location system, pioneered by BT, to pinpoint 999 calls from mobiles more precisely. When an emergency call is made with an AML-enabled smartphone, the phone automatically activates its location service and sends its position in a text message to the 999 service. AML is up to 4,000 times more accurate than existing location systems. It is now integrated into the Android operating system in the UK and is being adopted across Europe and the rest of the world. The proportion of calls connected by BT to the various emergency services is: Police - 49 per cent, Ambulance - 47 per cent, Fire and Rescue Service - four per cent and less than one per cent to the Coastguard and Cave and Mountain rescue services.